At The Law Offices of Abbott & Abbott, P.C., we focus exclusively on family law. The attorneys in our law firm have handled many divorce cases in the specific Georgia courts where we continue to practice. Our combined legal experience and skills create a formidable resource to have on your side in a divorce, modification action, or contempt action. Our strong familiarity with court procedures and ruling histories in Cherokee, Cobb, Pickens, and Paulding counties is valuable and useful. This knowledge enables us to provide you with confident guidance and viable options. We are often able to present an educated best case/worst case evaluation of your desired course of action, helping make your difficult decisions a bit more straightforward. 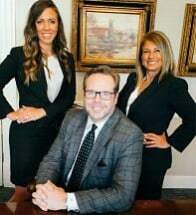 At The Law Offices of Abbott & Abbott, P.C., our goal is not to be a high-volume divorce firm, but to provide the levels of attention and quality representation that each individual client needs. We will listen to you, gain a clear understanding of your family and financial priorities, and present an honest assessment of your divorce case based on the facts you provide. We will work toward a negotiated dissolution agreement whenever possible, but will also be well prepared to fight aggressively for you in court if your case goes to trial. Our hands-on family law experience also includes filing, defending against, and appealing actions for modifications of support and other orders, and contempt actions. Contact The Law Offices of Abbott & Abbott, P.C. for an appointment to discuss your current divorce, custody, visitation, support, or other family law concerns. We will meet with you at the office location best for you, in Marietta or Canton.